Eclectic like its culture, full of flavour like its people, I found the food of Berlin bloomed from a welcomed suite of cuisines at joyfully affordable prices. 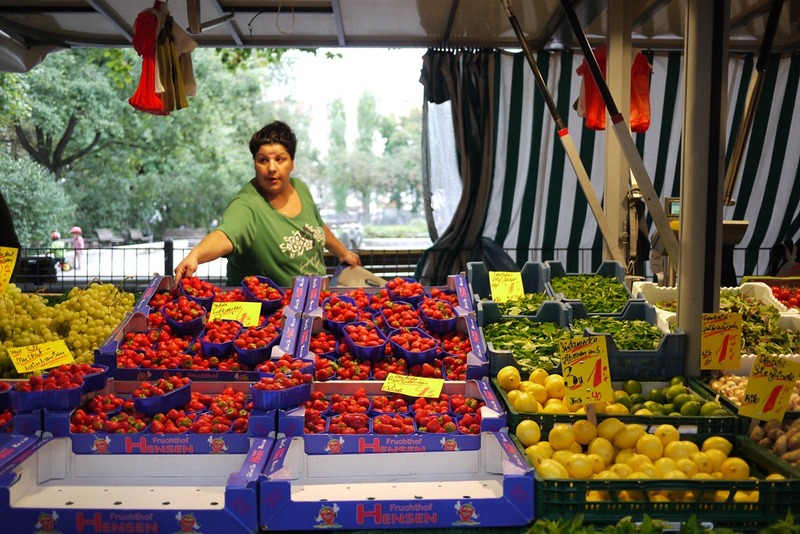 As I mentioned in my A Week In Berlin post, I was happy to be greeted with the multicultural spectrum the tastebuds in Germany’s creative capital. Unlike other posts in this Travel.Food.Photo. series, this Berlin edition offers tips for finding yummy street eats, simply because there are so many options… and I want to share the deliciousness. 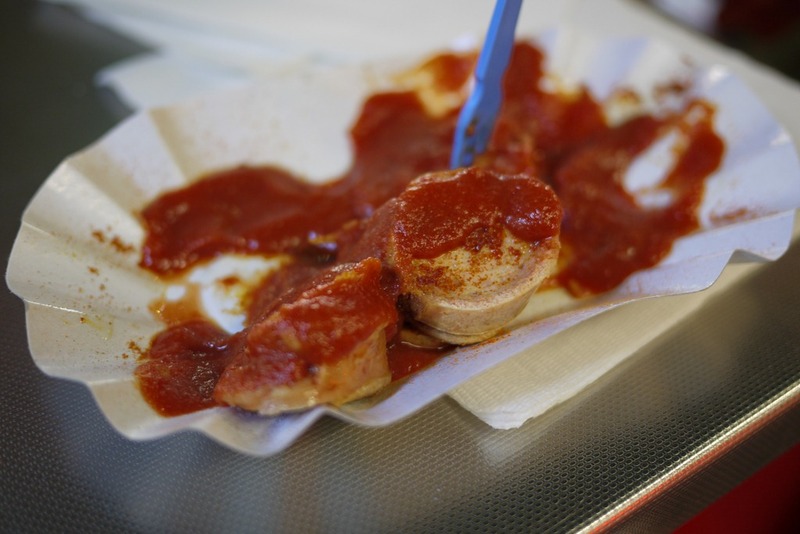 Enjoy the belly-warming flavour of currywurst at Curry 7 – Schlesische Straße 7 in Kreuzberg (close to the river, on the opposite side of the bank to the East Side Gallery a.k.a Berlin Wall art). 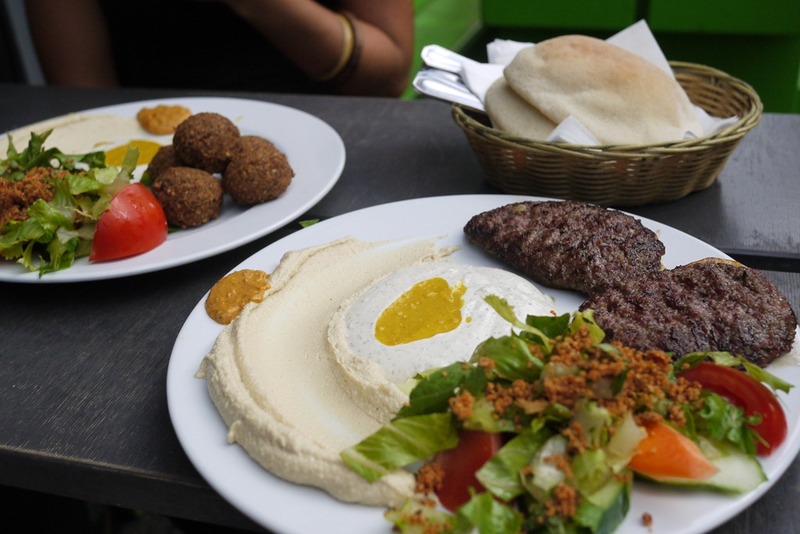 Go back for another serve at Falafel , where lamb kofta, dips and salad cost a delicious €4 per plate or less if you eat kofta in a pita pocket. Find it across the street from Gorlitzer Bhf station (U1). 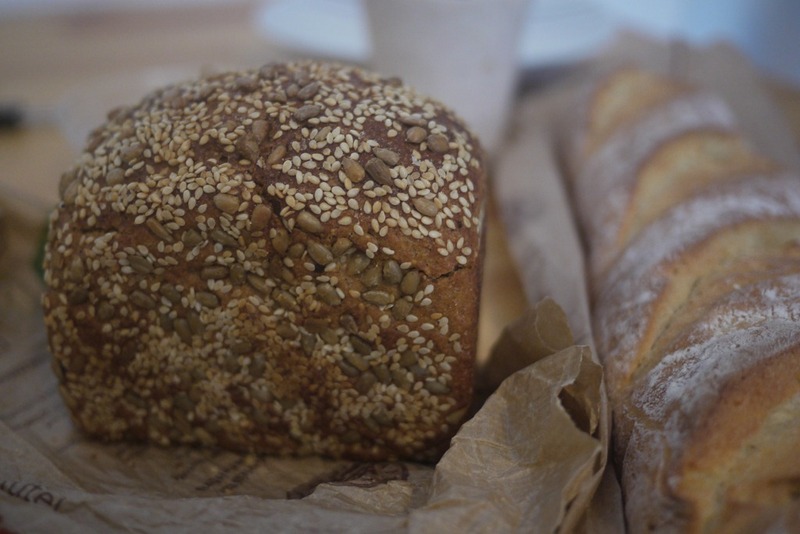 Grab a loaf of steaming bread from a local bakery and a baby bottle of Kleiner Feigling (which we lovingly called ‘happy juice’) from your local convenience store. 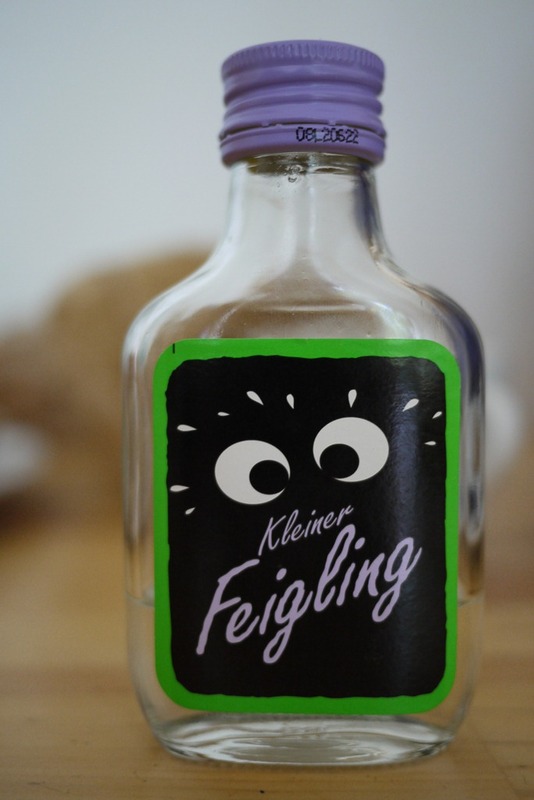 This alcoholic drink tastes like medicine for children (the good kind) and gives you a warm glow in your belly on a chilly Berlin day. 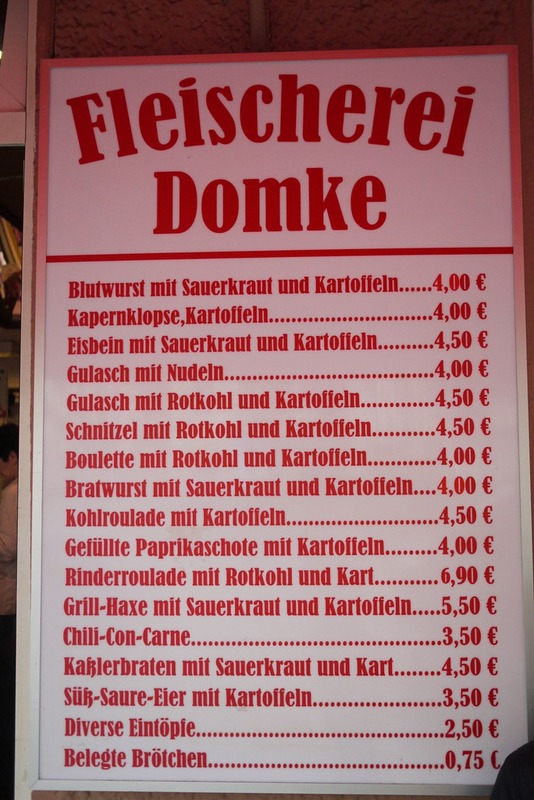 Each item will only cost a couple of Euros. For hearty German food, sit down at the butcher on the corner of Warschauer Straße and Revaler Straße in Friedrichshain. Perhaps some Einstein for you, a.k.a. 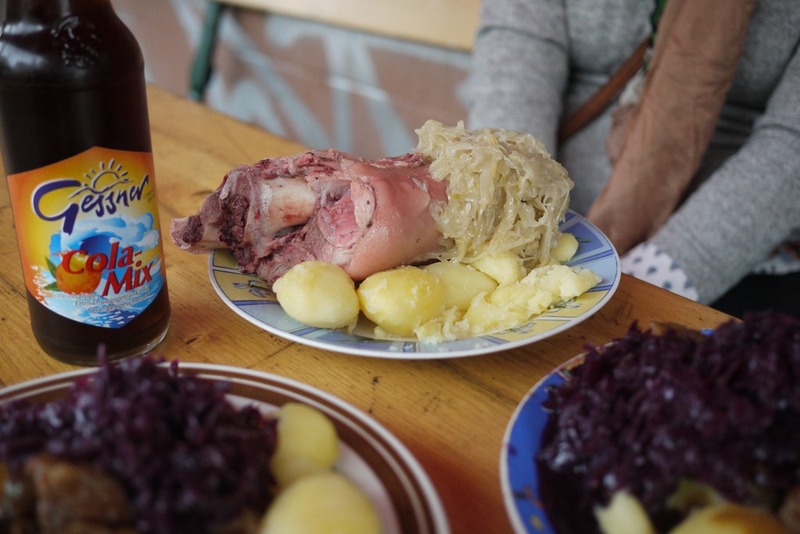 pork knuckle with sauerkraut and boiled potatoes? 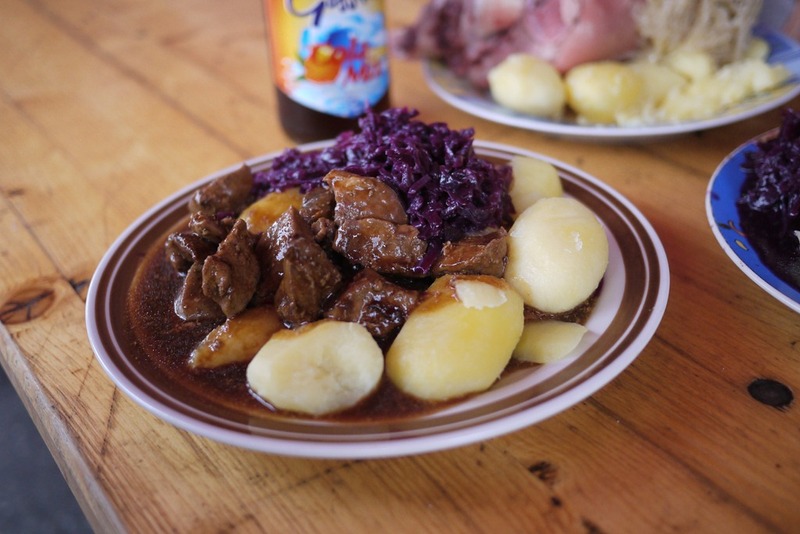 Or perhaps some goulash with red sauerkraut and potatoes? Either way, it will cost you less than €5 and you’ll be hard pushed to finish your meal. 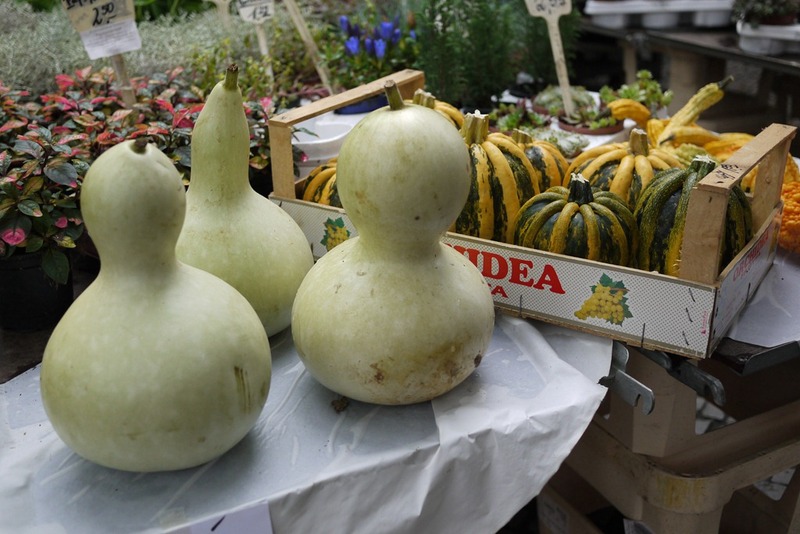 Try some market yumminess at one of the many produce and flea markets across the city, where you can find almost anything from smoked fish, organic everything, vegan and gluten-free cakes, funny-shaped fruit to fresh leafy greens. 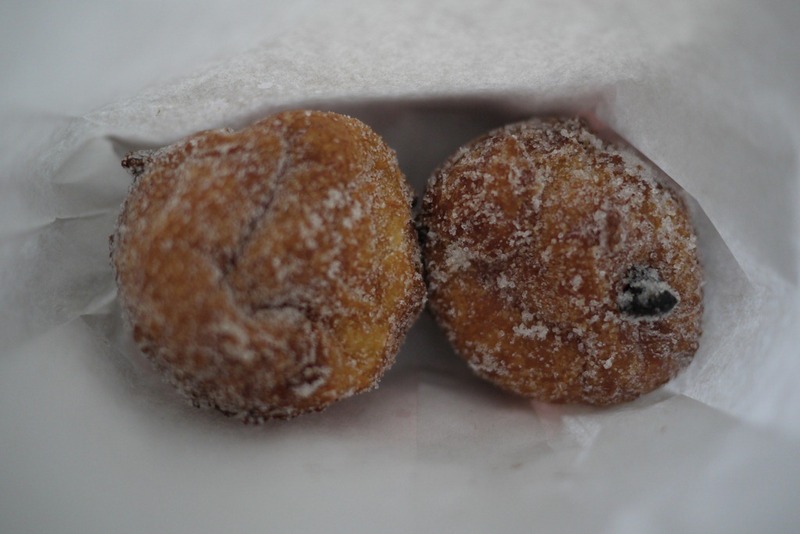 You can also indulge in waffles and other sugary, fried treats. 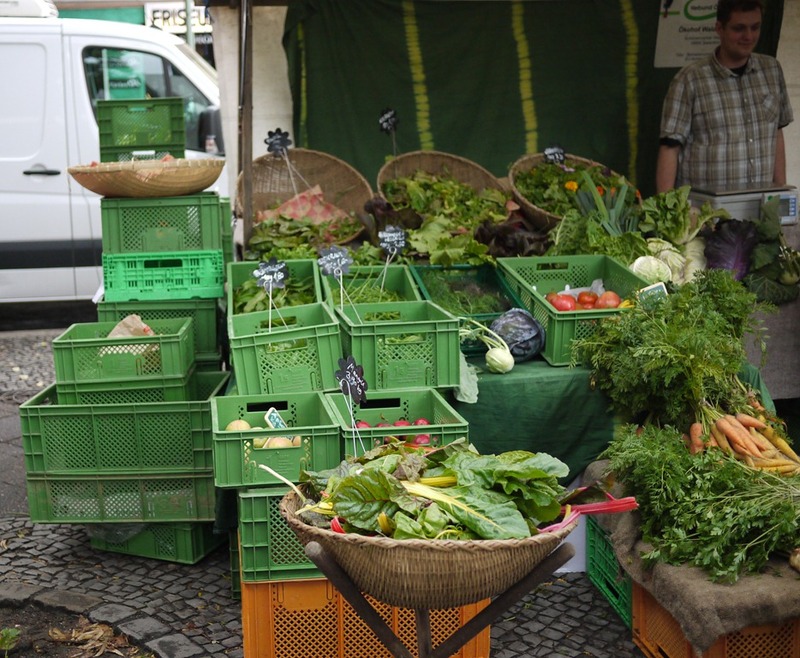 Two wonderful Berlin markets for food and adventure are Mauerpark Flea Market (Sundays) and Boxhagener Platz Farmer’s Market (Saturday mornings). For more about Berlin, stay tuned here, and at Nic Freeman Travel on Facebook! 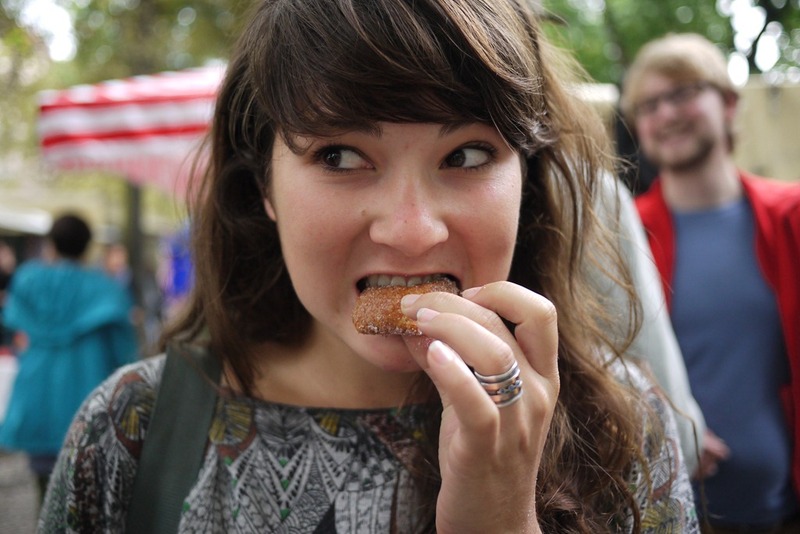 I lived in Germany for a couple of years, your food photos brought back happy memories and made my mouth water. Happy to hear it Sandra. Where did you live in Germany? I’ve only really seen Berlin so far; need to make a dedicated trip to explore the whole country. We lived just outside Dortmund. Loved it. Dortmund was a great city. We did a lot of traveling while we were there, so much to see. My daughter was born in Iserlohn. Loved the area. This was 28 years ago. Writing about it now. I believe that women all over the world should be empowered – in every sense of the word. Especially in the modern world, people should strive not just to eliminate gender discrimination but to adjust every man’s philosophy that women should be loved, cared for and respected. I support the Women’s day!